We've all probably heard at some point in our lives that the study of music benefits both the academic, growing student as well as the mature adult later in life. "Because leading experts say, Mozart makes babies smarter", as our friend Kari is fond of saying. Just in case more convincing may be required, NHME gathered lots of scientific data in one place for your perusal and consideration. When finally convinced beyond all reasonable doubt, click the green button to start an enrollment online. Remember too: parents, grandparents, and guardians do not have to sit idly by on the sidelines while their children get to make music and have all the fun. Why not join us as well? Have you always wanted to learn clarinet, were fascinated by the cello, or perhaps enthralled by a trumpet's clarion call? 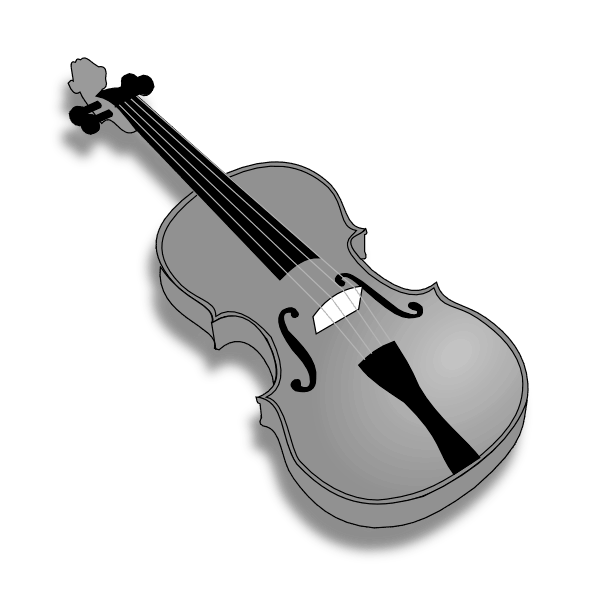 Maybe you already play an instrument or had at some point in the past? Is there a venerable, vintage instrument of some kind or another hiding tucked away in a secluded closet or dusty attic somewhere just waiting to be picked up and played again? Go grab it and join us! Don't worry, if an instrument is needed to come join and learn with us, we probably have one that can be rented at low cost. Come learn alongside your student while contributing your own unique maturity and expertise to the ensemble! Northwestern University professor Dr. Nina Kraus, a leading expert on how music affects the brain, shares her scientific insight on why music education is so important for children and teens. 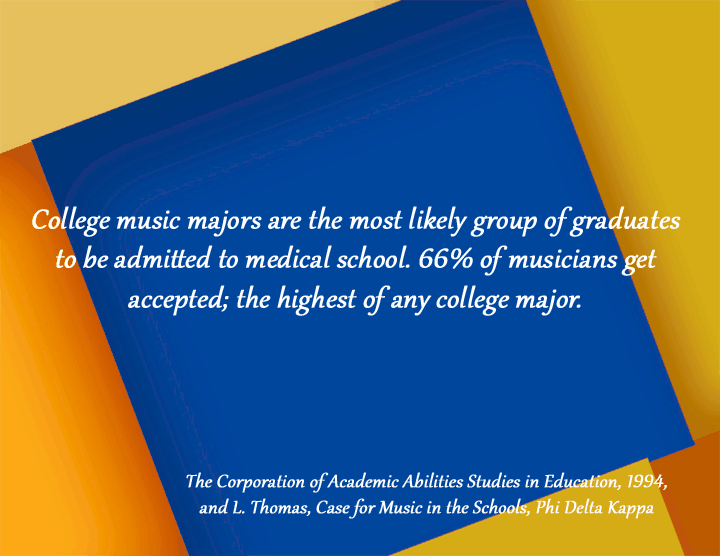 A study of 7,500 university students revealed that music majors scored the highest reading scores among all majors including English, biology, chemistry, and math. Students who were exposed to music-based lessons scored a full 100% higher on fractions tests than those who learned in the conventional manner. 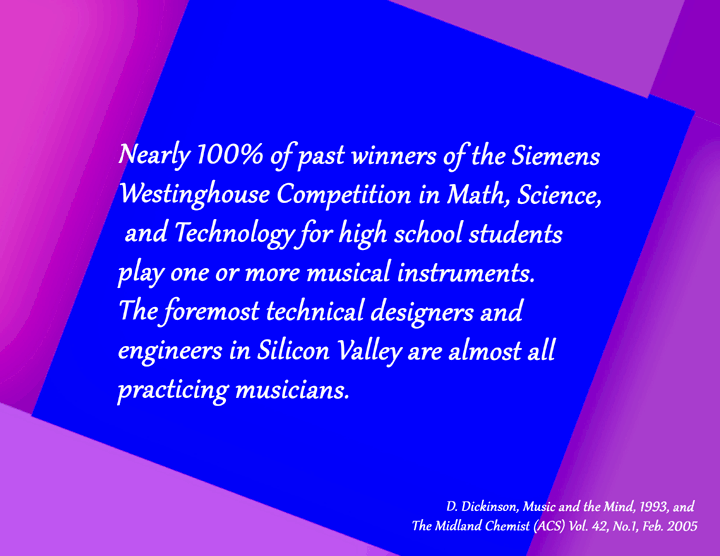 Music students received more academic honors and awards than non-music students. 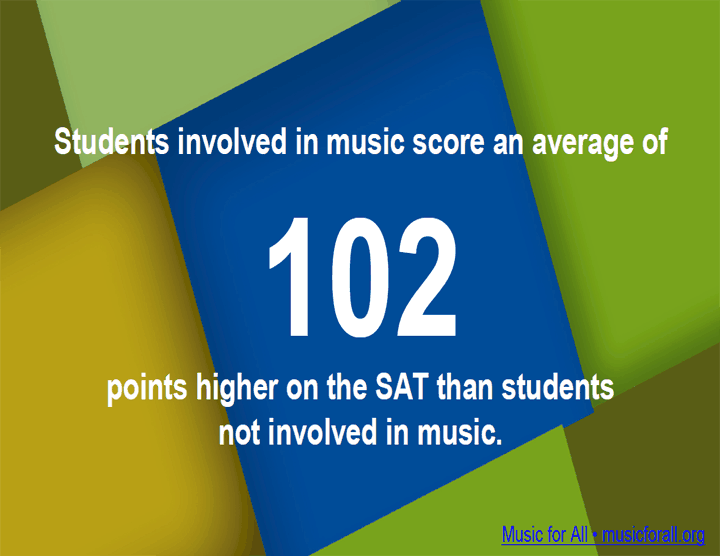 A higher percentage of music participants received AS, AS/BS, and BS than non-music participants. Students who participate in school band or orchestra have the lowest levels of current and lifelong use of alcohol, tobacco, and illicit drugs among any group in our society. Studies find link between music instruction and academic achievement as measured by standardized tests. 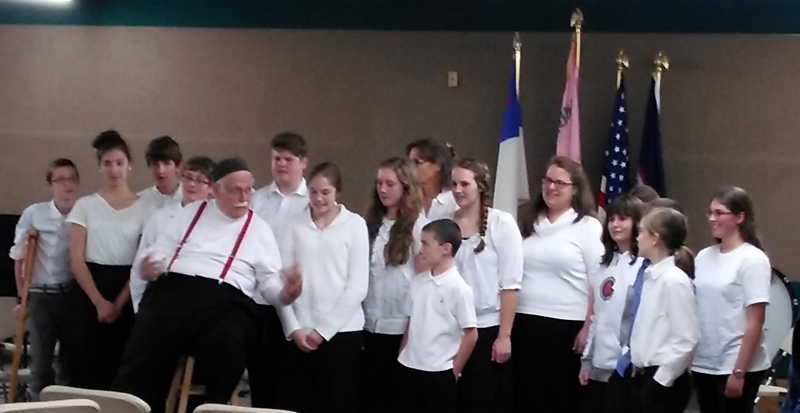 In a 2000 University of Sarasota Study, Jeffrey Lynn Kluball explored the relationship of instrumental music instruction and academic achievement for the senior class in Lee County High School, Leesburg, Georgia. Significant correlations were found between the number of years of band instruction and academic achievement as measured by the Georgia High School Graduation Test (GHSGT) Mathematics and GHSGT Science tests. An East Texas State University study by Daryl Erick Trent revealed that high school seniors who participated in instrumental music in grades 6-12 score significantly higher in language arts and math on standardized tests than do students involved in non-music extra-curricular activities or with students not involved in any school related extra-curricular activity. The Time May Be Now… For your children and yourself, the opportunity to participate in music may be now. As caring parents, we too are presented with a unique opportunity: the chance to introduce our children to a new and wonderful world where undiscovered abilities may blossom forth, where awakening dreams become fulfilled, where a richer and fuller life begins. The decision to enroll a child in a music program may be one of the most important contributions we will ever make to their education and perhaps to their life. The NAMM Foundation has a nice brochure explaining the benefits of music study. Check it out! But what about taking an active role? Research indicates that music lessons change the course of brain development and -- just possibly -- influence children's success in other, non-musical tasks. Rather than passively listening to music, Psychologist Frances Rauscher advocates putting an instrument into the hands of a youngster to raise intelligence. 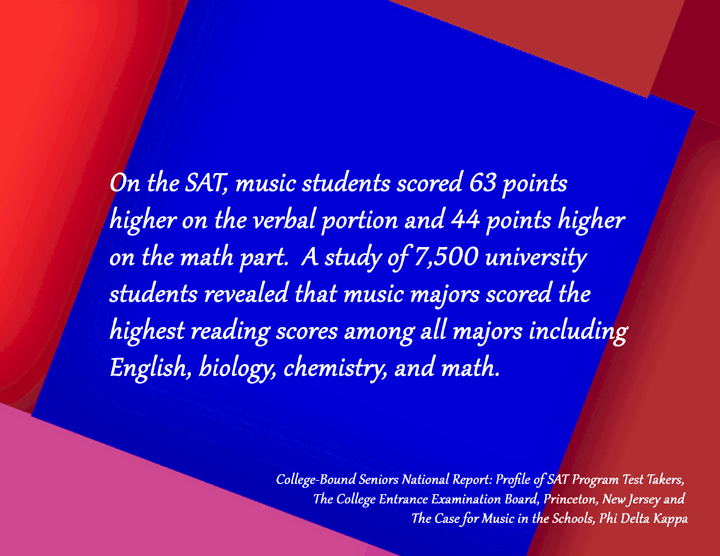 She cites a 1997 University of California, Los Angeles, study that found, among 25,000 students, those who had spent time involved in a musical pursuit tested higher on SATs and reading proficiency exams than those with no instruction in music. "If you love some instrument, if you like the sound of it, it's like no other sound. It's really yours. It comes from deep within, and it's something you can always connect with inside. How good can that be? Your music, your sound—it's your friend for life. You can express how you feel, send yourself into the larger world. You will always have that voice. That's a pretty powerful thing." 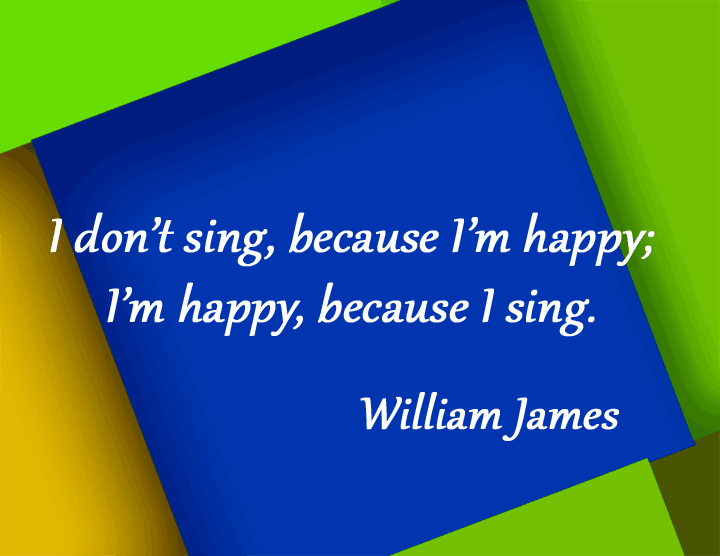 Learning to play a musical instrument can have a beneficial effect on your brain. Jessica Grahn, a cognitive scientist at Western University in London, Ontario says that a year of piano lessons, combined with regular practice can increase IQ by as much as three points. Twenty reasons to study music at the University. Twelve Benefits of Music Education at any Age.